Rosemary Holliday Hall is the visual artist from Los Angeles, USA. She was planning on staying in Residency for one month, but during her stay she realised that she’s not enough of time finishing the project she was working on. 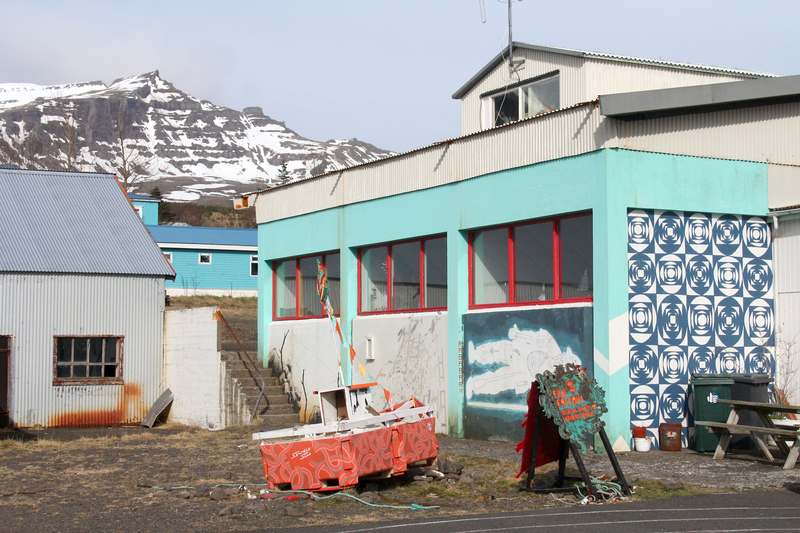 She extended her stay one more month, we installed extra studio space in the shared studio for her, enormously big and warm Takk for Guðný and Steini for renting house for Rosemary to stay. 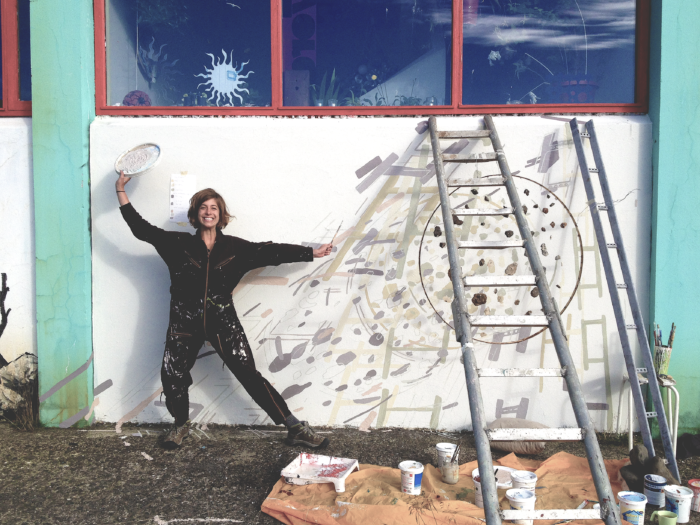 Rosemary and her mural progress, 2016. 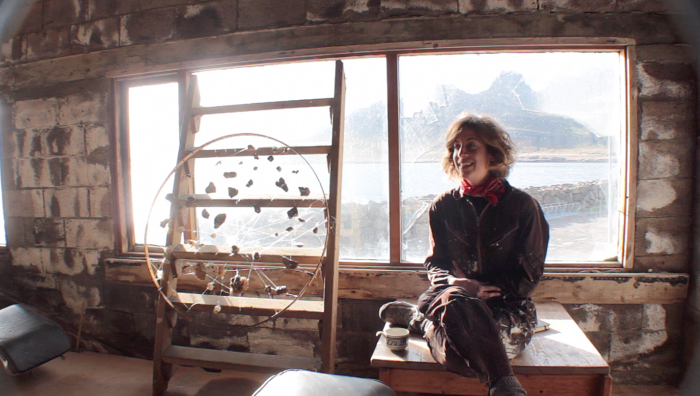 During these two months of residency she enlarged her project: she was working on making print of rocks and minerals she collected in the mountains of Stöðvarfjörður, continued on making some stone texture, skin–like looking wind catchers that she installed in abandoned house on peninsula. A mural we have now on a factory wall was a part of her project and was made with a stone shadow catcher that she’s explaining more in the following interview. The last bits of the project was a wallpapers of artificial shadows caused by a bulb light. 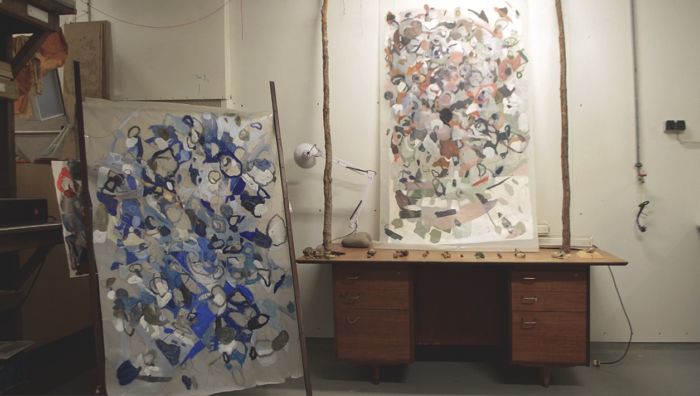 She was catching shadows in studio and making abstract chaotic patterns.